Used 2010 Ford Mustang 2dr Cpe V6 for Sale in Lebanon PA 17046 Adams Auto Sales Inc.
***PRICE REDUCED NOW ONLY $7,995! 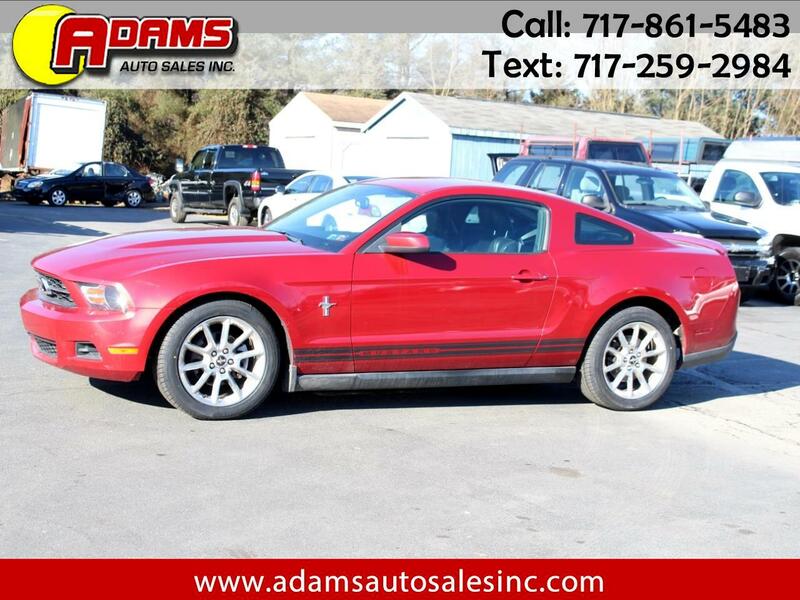 *** This beautiful 2010 Ford Mustang Premium coupe is ready to hit the road with you behind the wheel. It is equipped with a V6 4.0 liter engine and 5 speed manual transmission. It's rear spoiler and alloy wheels give it a sporty look. The red exterior and black leather interior are in great condition. Well maintained inside and out. Inspection and emissions are good thru February of 2020. It comes with a 3 month / 4,000 miles (whichever occurs first) powertrain warranty. Ask a salesman for more details. Free Carfax report is available. Stop in today because someone else will soon be driving it around for good this spring.